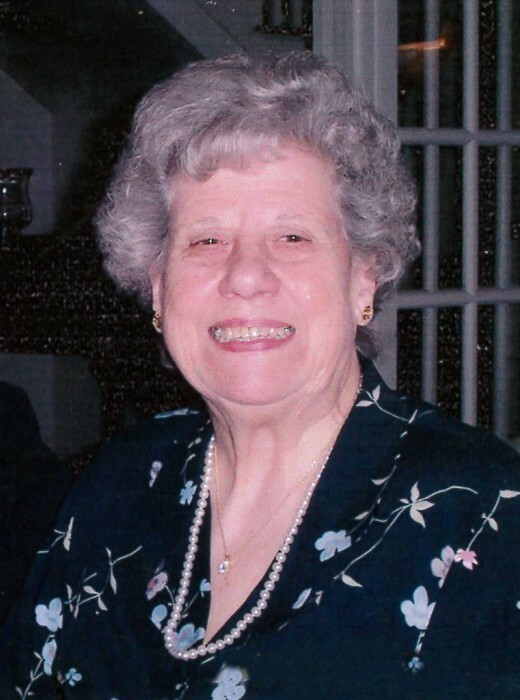 Obituary for Grace M. Brodeur | Gaskill Brown Funeral Home & Cremation Services, LLC. Grace Catherine (Mills) Brodeur, 94, of The Evergreens in Moorestown passed from this life on Saturday November 17, 2018. Daughter of the late Fred David and Catherine Burnett Mills, she was born in Boston. Childhood years were spent in Auburn, Hornell, and Brooklyn, NY. She graduated from Girl’s Commercial High School and was then employed by New York Life Ins. Co. before her marriage to the late Ernest W. Brodeur, Jr. Since he was serving in the U.S. Coast Guard during WWII, the marriage took place June 1944 in Newport OR, and relocated them to 5 states during his career. They were married for 67 years before his death on November 7, 2011. Grace was also employed by American Airlines in New York City and Connecticut General Life Ins. Co. in Hartford, CT. She lived in Hartford 10 years, and then in Farmington, CT for 55 years before moving to The Evergreens in 2012. Besides her parents and husband, Grace was predeceased by a son, David Mark Brodeur, in 1976, her only sibling, a brother George Theodore Mills in 2000, and a daughter Linda Susan Pine in 2017. She is survived by a son, Richard C. Brodeur (Joan) of Plantsville, CT. She was blessed with six grandchildren, Karen Pine (Mohamed Mahgoub), Kevin Pine (Tiffany), Alan Pine (Neena) all of Mt. Laurel, NJ, Stephen Pine (Ana) of Harlingen, TX, Elyse Manyak (Daniel) of Harwinton, CT, and Jayna Brodeur of Stamford, CT. Grace is also survived by six-great-grandchildren, David, Nora, Maryam, Alexander, McKayla and Lillyan. Grace was a 70-year member of the First Presbyterian Church, Hartford, CT. She loved family, friends, music and dancing, sitting by the ocean, stars in the sky and art/paintings, as long as she understood what they meant. Ice cream was a life long favorite; as well as a flawless Martini. The family would like to thank The Evergreens and Lighthouse Hospice of Moorestown for their never-ending care, love, compassion, and support. Calling hours will be held at the Carmon Funeral & Family Center, 301 Country Club Road, Avon, CT 06001, on Sunday November 25, 2018 from 3PM-6PM. A funeral service will be held Monday November 26, 2018 beginning at 10AM at Carmon Funeral Home & Family Center, burial will follow in Riverside Cemetery in Farmington. Memorial donations in Grace’s memory may be made to Lighthouse Hospice, 1040 Kings Hwy N 100, Cherry Hill, NJ 08034.